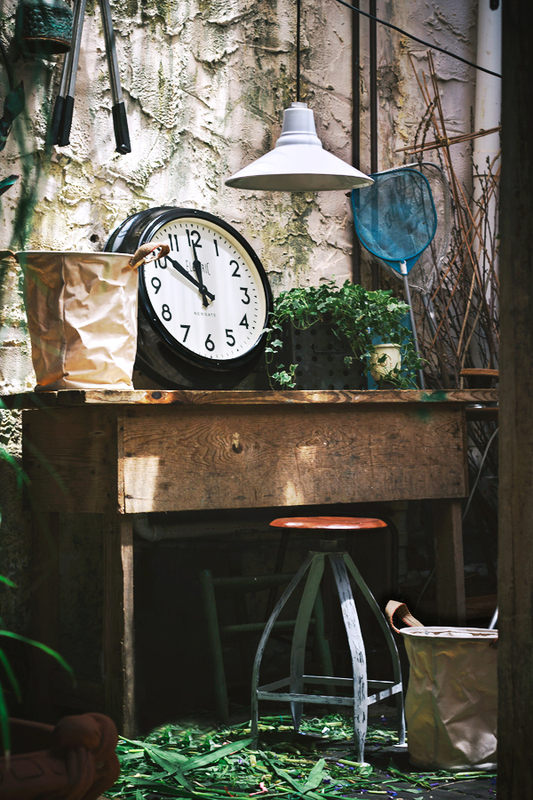 22 Jan 2015 @ 9:59 am by Yvonne J.
Google defines vintage as a time, rather than a product. 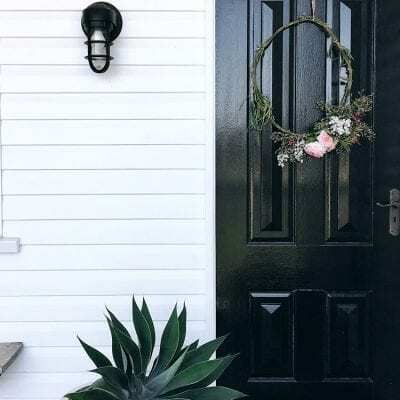 When the quality of goods were unsurpassed and now, if one is to remember when quality goods were manufactured, lighting included, chances are that you’d probably look back to the 1950’s to 1980’s. Quality will typically infer high strength, reusable materials such as steel, glass, aluminium (where used) and porcelain coating. It was a time when workmanship mattered more than price, as you’d expect to own it for at least a decade or more rather than upgrade to a new model every five years. Popularity of the term ‘Vintage’ over time via Google. Keep in mind that we’ve got no idea how Google happens to have data back from 1900’s, chances are they’ve scanned quite a few books. Workmanship: We don’t buy this fixture, we manufacture it from raw materials. Each of our metal spinning employees (we don’t contract that out either) take a flat piece of steel, hole-punch the correct shade diameter and then start the spinning process as artisans. Just so that you’ve got a good idea what goes into our products, we’ve included the above video from Barn Light Electric (USA). Quality: Our products are made from 100% steel (where porcelain) or aluminium (everything else). The benefit of using raw materials is quite substantial, there are multiple suppliers, seemingly unlimited supply, and good research behind just about every application possible. A primary example is our chromate pre-treatment on Aluminium. If we were to use an alloy we’d have insufficient data from our powder-coating supplier (Dulux predominately) in the adherence duration (how long the polymer powder-coat would stick) or rather how long it would last in Australian conditions (UV / Wind / Dust / Water). A significant amount of products sold by our competitors, both online and store front originates from Asia to minimum standards (think quality control is a big factor in price?!) and while there are some decent manufacturers, many are not looking to develop a product that will last. Take a good look at the rust spots on the neck and rim of the shade. Overtime these shades will continue to erode until the metal rusts through allowing water, dust, and vegetation matter into the electrical socket. Take a look at the following photo and make a quick estimate on the cost of the following scenarios; assuming of course that yourself or your client care about the quality aspect to begin with. Design: We learned from the best. 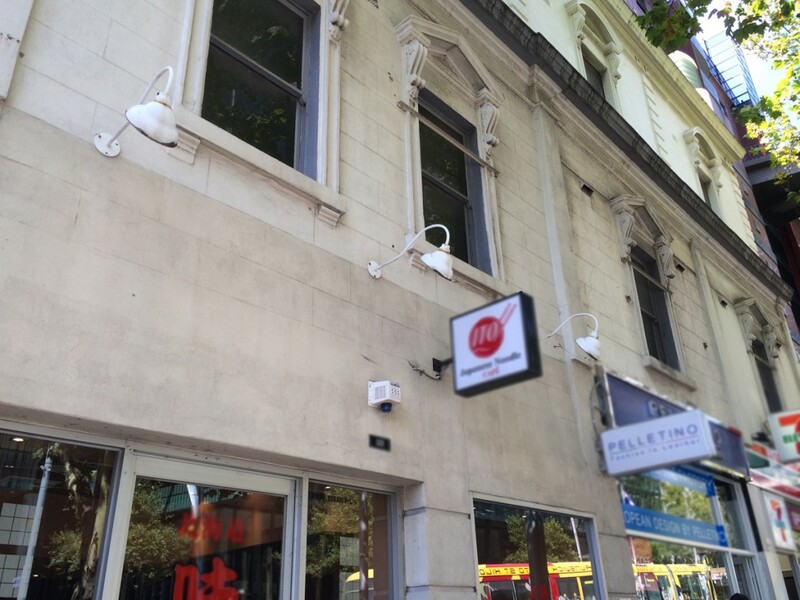 Our designs are modelled after the original American manufacturers of RLM Lighting (Reflective Luminaire Manufacturer) Benjamin, Ivanhoe, Goodrich, which made many designs over their companies’ lifetime. The fact that we can bring back and manufacture an antique shade style over 100 years from inception means that it’s essentially timeless as design style goes. 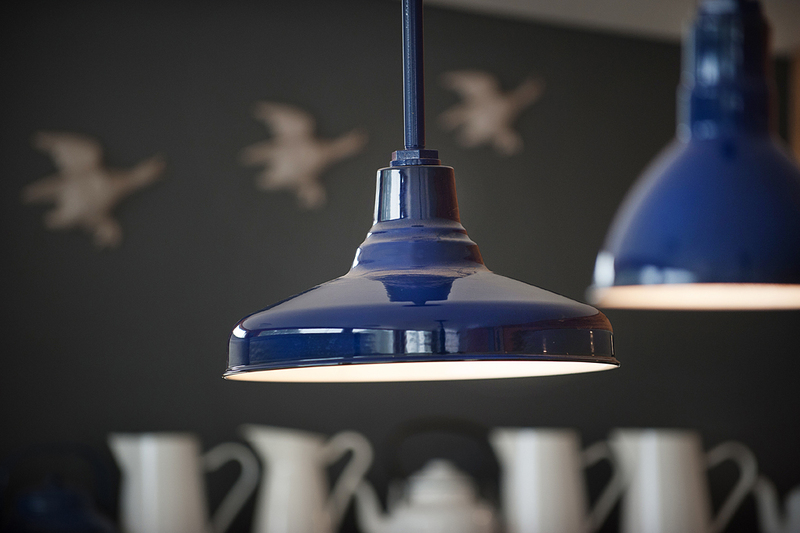 Our Ivanhoe Aero Pendant in white. The decor takes a break from clinical modern style and brings back that rustic, earthy goodness we know and love. What we’ll never do as a company is misrepresent our product. We could frankly, grab a piece of cheap aluminium and add a dabbed copper paint finish and pass it off as ‘Vintage’ to those whom are none the wiser, however you’ll appreciate that we’ll never set out to create a sub-par product. We truly care about our products beyond turning a profit which what makes us unique as a company in the times where disposability is considered a feature for many businesses. We’re not much different than interior designers (whom commonly specify our products for their customer projects) in the appreciation of design and I’m going to take a guess that 75% of our sales are the direct result of a professional interior & exterior lighting designer. 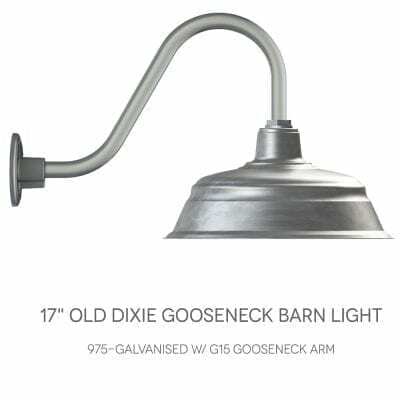 Going back to Vintage, if you could see fifty years into the future, we’d be willing to bet that our barn lights never dropped out of fashion. We hope to entice the current and next generation of designers to think outside the box by connecting complex ideas with simple, yet honest, lighting products. 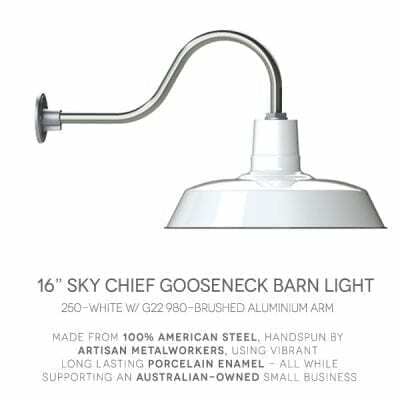 Barn Light Australia Pty Ltd.